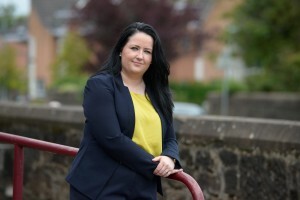 Lanark and Hamilton East MP Angela Crawley has today called on the UK Government to ‘ditch their ill-considered’ changes to support for mortgage interest. The government had offered Support for Mortgage Interest as a benefit to homeowners in hardship until 5th April 2018. This covered the interest payments on their mortgage only, while the amount borrowed, insurance policies and arrears would be paid by the homeowner. Since April, the government has stopped this support, but instead are offering a loan, to be paid back with interest. This is repaid when the home is sold or ownership is transferred, or when the homeowner dies, making the sale of the house more costly and difficult for a claimant or members of their family. “When someone becomes disabled it can disrupt their lives in profound ways, often making them unable to work. “Support for Mortgage Interest offered some degree of security should a homeowner find themselves unable to work. However, recent changes to the scheme means the safety net to help these people keep their homes is being eroded. “This change in policy is causing extreme stress to already vulnerable individuals in addition to forcing them to pay interest from benefits which are designed to cover basic costs of living.